Jogendra Nath Mandal has the distinction of representing the Muslim League as minister in the 1946 pre-partition political setup of India. Later, he presided over the historic session of the Constituent Assembly on 11th August 1947, where Mohammed Ali Jinnah was sworn in as the first Governor-General of Pakistan. 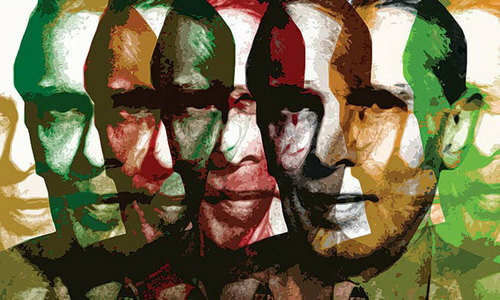 Jinnah trusted Mandal – who belonged to the lowest tier of the Hindu religious hierarchy – the Untouchables or Dalits – for his vision and righteousness. Years earlier, Gandhi had tried to replace the word Dalit by ‘Harijans’ or the children of the Hindu god Hari. The euphemism was later considered condescending by the community in question. Dr B. R. Ambedkar, the principal architect of the constitution of India and himself a Dalit, had accused Gandhi of deceiving the Untouchables. He believed that Gandhi was using tactics to keep them tied to Hinduism. Later, Ambedkar and his 3,000 followers converted to Buddhism. Renowned historian Mubarak Ali says that long after Partition, the Untouchables chose to be called ‘Dalits’ or the oppressed. To this day, the social and financial conditions of the Dalits, in both India and Pakistan, have not changed much. However, these people – having been oppressed for centuries – are now fighting for their rights. Coming back to my topic, Jogendra Nath Mandal not only held important law positions before Partition, but also became the first Law and Labour Minister of Pakistan. In the newly formed country, Hindus had now become a minority. On 11th August 1947 when Quaid-i-Azam Muhammad Ali Jinnah was to be sworn in as the first Governor General, he wanted Mandal, a Hindu member of the Assembly, to preside over the session. 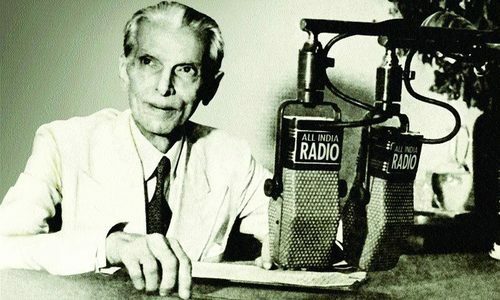 Jinnah’s decision reflected his desire to bring religious minorities into the mainstream. “The fact that one of the minority members was elected to preside over the session hints at the progressive attitude of the new state, and it augurs well for the future. Pakistan itself was brought into existence by the unrelenting efforts of a minority of the Indian Subcontinent. “I would like to point out that people, from not only from Pakistan and India but all over the world, are taking notes of the business of the Constituent Assembly. The Muslims of the Subcontinent wanted a separate homeland for themselves. Now, the world wants to see whether they would treat their minorities generously. “The Muslim League leaders, particularly Quaid-i-Azam, have assured minorities of not only justice and tolerance but also of generosity. The minorities, too, are duty-bound to honour their allegiance to the state and work responsibly for national building." After the 1946 elections, an interim government was setup under the British Raj. Both Congress and the Muslim League had to nominate their representatives to function as ministers in the government. Muslim League named Jogendra Nath Mandal, besides others. In March 1949, Mandal supported the Objective Resolution – the same resolution that today continues to generate political debates in Pakistan where the progressives believe that it has been exploited to transform Jinnah’s ‘secular Pakistan’ into a ‘religious state’. He later helped the government counteract the political power of the Hindu minority when he successfully campaigned for a separate electorate for the Untouchables. In return he was booted out of office as government minister. It left him dejected. His situation can best be explained by a Sindhi proverb, “Jini laey moasi, sey kandi nah thia” (You have died for them, but they won’t bother to attend your funeral). Soon after Pakistan came into being, the manipulative bureaucracy of the country began to position itself to usurp power. Its first target was non-Muslim politicians and officials with any perceptible authority. To turf them out of the corridors of power, the bureaucracy underhandedly created doubts about their patriotism. 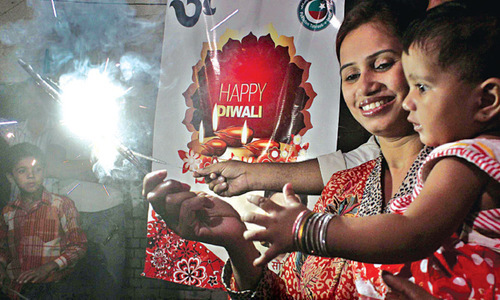 It was a warning to the Hindus and other minorities – that their support for the government made no difference, and that they were simply no longer welcome in Pakistan. For all the pain he went through, little did Mandal know that soon he will have to leave the land he had chosen to call home. Fate has ruthlessly taken Quaid-i-Azam from us at a time when he was most needed. “Pakistan’s first Law Minister and the leader of the ‘Untouchables’ Jogandra Nath Mandal had been a tried and tested supporter of the government. He was a hero for the oppressed. “In 1940 after being elected to Calcutta Municipal Corporation, he proved particularly helpful to the Muslim population. He cooperated with the [Bengal] governments of A. K. Fazalul Haq and Khawaja Nazimuddin (1943-45) and served Muslim League (in 1946-47) when Quaid-i-Azam had to nominate five ministers for the interim government. Quaid-i-Azam wanted to nominate Mandal from Muslim League. By accepting Quaid-i-Azam’s offer, Mandal countered a similar move by Congress, which had nominated Maulana Abul Kalam Azad. “After the 3rd June 1947 announcement, Sylhet District was to vote in a plebiscite to join either Pakistan or remain in Assam [the state that was to become part of India]. The Hindus and the Muslims of the district equalled each other in terms of population. However, there were a large number of Untouchables, whose vote could sway the poll to either side. After the Partition, the bureaucrats in Pakistan had started making inroads into politics. Those who questioned their policies, irrespective of religious or social background, were not tolerated. Thus began a campaign to undermine every righteous individual in politics. “Late Chaudhry Mohammad Ali had spent a major portion of his life in the service of the British Raj when he arrived in Pakistan from Delhi. As Secretary-General of the Cabinet Secretariat, he quickly garnered fame as the ‘architect’ and leader of the Pakistani bureaucracy. He was still a cabinet secretary – even though in the years to come he was to be appointed Finance Secretary, Finance Minister, and Prime Minster – when one day it dawned on him that Mandal was not a genuine patriot. Such a deduction implied that Chaudhry Sahib had eyes more trained than that of Jinnah to evaluate a person’s character and faithfulness. “Consequently, he tried to keep many cabinet documents away from the Law Minister. It was too much for Mandal. His pride was hurt. Hitherto, he had lived as a self reliant man, who knew his self-worth. Before becoming a minister, he had offered huge sacrifices and as a Hindu, swum against the tide to support our Quaid in the Pakistan Movement. Mandal’s support for Muslim League, his sacrifices for Pakistan, and his love for Muslims cannot be discredited. His ill-treatment at the hands of a bureaucrat is a dark chapter in our history. In Pakistan, there still exist many Jogendras who have exhausted their energies in vain to prove that they are as patriotic as everyone else. Do we need another Jinnah to take cognisance of the services rendered by our minorities? The article was first published in November, 2015. Even a thousand articles like this will not bring any justice to minorities in Pakistan, sorry state of affairs here. Hope I could proudly say that we treat minorities fairly but sadly it is not so, hope future generations treat them well. Thanks Mr. Akhtar Baloch for removing the veil of ignorance. You have died for them, but they won’t bother to attend your funeral. Akhtar u appear to be truly secular .world needs more muslims like u.
Introspect before you criticize others is the crux of the story ! We have another sterling example to quote here of "Justice Bhagwan Das". Akhtar Balouch, thank you for yet another masterpiece. Please keep writing such articles. Excellent research done. Unfortunately people who were against PAKISTAN MOVEMENT fraudulently penetrated in the cooridors of power, as they fear that certain person may expose their real face they ruthlessly turned against him,that goes to all those who were even very close to OUR QAUED RA. These faces are still active today unfortunately. This must be a slap in the face to our so-called librale who uses every opportunity to demonize Quaid-i-Azam. Do note that India took him back in its fold. No questions were asked. While the status of Dalits is still in shambles, India did display foresight and broadmindedness which Pakistan quickly lost. This well meaning article misses how disillusioned Jogendra Mandal actually felt, and that was not because of the personal treatment he received in the hands of a few bureaucrats. The complete truth may be found in his long resignation letter, which can be found by doing a wiki search. @M.Saeed But unfortunately he was appointed at a wrong time and under controversial situation when his predecessor was removed and there was a lot of criticism on his removal. So sad. It should be noted that minorities in India have not been treated well either until only later. Jogandas died miserably in India. In his letters, he expressed regret, at leaving pakistan. all those who supported Pakistan had similar fate be those Suharwardys or Mujeebs... nothing has changed yet. keep up the good work; this is the history needed to be taught in Pakistan. Thank you Mr. Balouch for another eye-opener. Hard and harsh truth of our history. All ruling elites and the then bureaucracy were nothing but the immoral culprits. They killed and looted not only the people but the whole conscience of the country. Fir their "Kursi" they did unspeakable. And now we read them in history books as if they were gentlemen. All uncouths, killed the infant country fir their lust of power and money. The vision of Pakistan and the execution of Pakistan, both, unfortunately ended up being complete opposites of the spectrum. I think MJ Akbar put it rather eloquently when he stated- for Indian nationalists Jinnah didn't die soon enough- and for his people who believed in his vision for Pakistan he died too soon. Jagendra Nath was asked , before he died, why he came back to India, he replied, " I left for Pakistan, and after Qaid e Azam's death, I came back to Bengal". He meant, not India but Bengal as a seperate nation. "Fate has ruthlessly taken Quaid-i-Azam from us at a time when he was most needed". This one statement applies to many debacles throughout the history of Pakistan. Quaid-e-Azam was a visionary, who knew well ahead whats needed for a nascent republic like Pakistan to succeed. People blindly followed him that was enough proof of weight of trust he was carrying on his shoulders. It's the biggest misfortune for Pakistan that our Quaid passed away when his presence and leadership was needed the most. 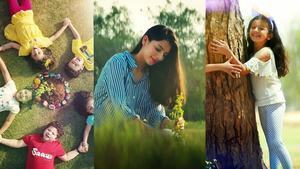 Great introspective article. I wish Mandals, Agha Khans and Zafrullah Khans were heralded as our founding fathers, and Pakistan would have taken the right step at it's inception. @usman778 I will disagree. Minorities have held all types of positions in elected government and in bureaucracy and military in India since 1947..
Who else has bureaucracy treated well? It is not to belittle the bad deed with Mandal, rather to highlight how much venomous is our bureaucracy. So, please do not balm whole nation for such deeds. The biggest tragedy was Mr Jinnah and Dr Ambedkar did't come together. If they had the Nation of Pakistan would have been much bigger and included southern India in its mix. Now in India Muslims are including Dalits in political process which is yielding good results. It was Mr Gandhi with his cunning ways promoted hindu agenda and spooked muslims to separate from hindus. It is a known fact Mr Jinnah was a secularist and abhorred religious intolerance. By writing articles as yours is a great thing. This name was never mentioned and taught in schools. Pakistani is habitually narrow minded and miser to appreciate a good work even of Islam who was driven out from Pakistan because of religion. By changing name as Mahatma Ghandhi did of Dalit to Hirjin did not bring any change in socio-economic life of this group of people. Now the same thing is being practiced in Pakistan. Changing word from Esiai to Masihi. It is a set of mind of larger group of people to humiliate the smaller group and minimize the productive contribution to nation building by this group of people called minority. Social ladder is a economic ladder. Let the government do some constructive thing to improve their economic part of lives of these vioceless. Government should start recognizing their productive contribution in nation building particularly in health care and education. Many thanks for this article. @M.Saeed And also two other examples of later becoming minority are of Chaudhry Zafarullah Khan (the first Foreign Minister of Pakistan and the only Pakistani to date to be the Judge of the International Court of justice, The Hague) and the star of Pakistan Professor Abdus Salaam, Nobel Prize hero of Pakistan. I repeat the well quoted Sindhi sentiment You have died for them, but they won't bother to attend your funeral. The appointment of Mr. Mandal as first Law Minister of Pakistan reflects the vision of Quaid-e-Azam Muhammad Ali Jinnah for Pakistan. He wanted Pakistan to be a progressive and religious tolerant country, where there will be no preponderance of any particular community over other. An that Pakistan would be a progressive secular country with religion as personal matter. There is no such thing as Untouchables or ‘Dalits'in Islam where every one is equel, every one is human, which is more then enough. "All mankind is from Adam and Eve, an Arab has no superiority over a non-Arab nor a non-Arab has any superiority over an Arab; also a white has no superiority over black nor a black has any superiority over white except by piety and good action". History is bitter,however Justice Rana Bhagvan Das is an example of minorities' successful life in Jinnah's Pakistan.Today Pakistani minorities are surviving in much better way of life than our neighbouring countries. @karan I also read elsewhere that the Pakistan's tragedy was that Jinnah died too soon and India's tragedy was that Nehru died too late. Akhtar Balouch calls a spade a spade.....presents facts as is without prejudice or nationalism. Kudos to him and dawn for quality journalism. @Azhar jamil . Yeah right! Thank you Balouch Saheb. This story of a die hard Pakistani had to be told. Only you could do it & you did it. What a sad story. @el cid Instead of complaining we should celebrate a Jogendra Nath Mandal Day to honor the great man's love for Pakistan, Quaid-e-Azam's respect for him and to show that we respect our minorities. Someone powerful can at least propose such an idea. Bravo for shining light on this subject. Sometimes I wonder.. are we Indians and Pakistanis doomed to lead this life in our own countries ? After reading this , I can draw parallel to some of similar instances in India . We , people of both the countries , take pride on our culture and call ourselves largehearted and what not, just see how we allow our brothers and sisters to be treated . India is shining despite of these aberrations and that's what concerns me.. we can not shine even when a single child goes to sleep empty stomach; we can not shine if a single Akhlaq gets lynched for daring to eat something different ; we can not shine if a single girl gets raped; we can not shine if a single girl gets killed in mother's womb. I sincerely think our politicians put all these priorities before they go on top of a platform and shout hoarse on shining whatever !! Great article,I salute you Balouch Sahab . Thanks Mr. Balouch for bringing such historical events in the notice of present population to introspect. finally an article that underlines the sacrifices made by the minorities for the creation of Pakistan. had people like Jogendra been accredited of their services we would have a more respectable and powerful image in the world. Abul Kalam Azad never had to face such fate. Very nice article. Written in a way that one can imagine being present at those times. Thanks Mr. Balouch. Your articles are extremely informative especially for todays generation, I hope one day you compile all of these into a book. A great expose Mr.Balouch. Jinnah's intentions towards Mandal were laudable, but any idea that depends upon the will of a particular individual to remain benign is not very sound. It couldn't even admit an 'other' who supported the idea wholeheartedly, to the extent of accepting his own secondary status. @Mukhtar - You nailed it Mukhtar. Thanks Mr. Akhtar for such brilliant piece. Very insightful. Kudos to the author and Dawn. Hats off to the author for pulling up this brilliant piece of writing. As suggested in some of the comments, I read the "Resignation letter" from wiki. I am stunned and numb after reading the content of that resignation letter. I don't think I can imagine the depth of the pain and agony this gentleman had gone through. All I can say is merely the words like Rest in peace Jogendra Nath Mandal saheb..
Mr. Balouch, thank you for this article. Hi, guys this is rocky from india, Actually this article is very, very helpful I didn’t know about Mr. Jogendra. Actually I am also belongs to minority. But here in India I have had a lot of friends from the Muslim community and I also love them. I am really thankful of Dwan that they've shared this important information. Continued from my comments of last Tuesday:----These faces are still active today unfortunately, soon after our QAUED departed from us these unworthy bunch of opportunist grabbed the mental of Qaued's Muslim League and shredded it into to fit their desired mode and turned into a Corporates and now we the Nation for which our BELOVED QAUED gave his all life and sacrificed every thing in his possession has taken over by MAFIOS , now it is time for us the people of Pakistan to get rid of these bogus leaders and stage CULTURAL REVOLUTION ON THE LINES CHINA OF 1967. GOD BE WITH ALL OF US. Bureaucracy,Waderas,Sardars,Chaudhrys,had done blunders in Pakistan,either inadvertently or intentionally,which lead to many such episodes,but there are good people too,and through their blessings and prayers this nation is progressing today.it's cool to look back at history to learn and proceed in future for better performance,while thanking Mr Akhter Balouch,and feeling sorry for Mr J.N.Mandal ,we must resolve that no matter how much blunders the govt and politicians do,we the people of Pakistan will face the challenge of usurpers,corrupt persons,with iron hand,to put our great nation alongside with developed nations inshallah. Yet our so-called PM discussing the need to review 62 & 63!!! Many tactics are employed in politics, not much sincerity in none of them. @Syed Hussain Akbari These two are the excellent examples and do we learn from our past? This is the question that has a very clear answer "NO".Do the political parties (representing both Naya Pakistan and Purana Pakistan" have the courage to challenge the clauses in constitution depriving minorities and certain sections of society their basic rights? Does these parties have the courage to include true history of Pakistan in the syllabus? The answer is again "NO". The political leadership and bureaucracy keep on changing faces but the mindset is the same. So we are going nowhere. the same jinnah announced in Dhaka that urdu alone would be the national language of pakistan. The truth is, had jinnah lived, very soon he would also lose his halo and either stop being pro minority or change his tone to being anti minority. pakistan was never ever going to offer anything to non muslims given its fanatic, violent nature & the beast in men was aroused by Jinnah himself, the previous year, august 16, 1946, known as direct action day. Akhuwat foundation may want to open its offices in Thar and Mithi areas too to uplift the standard of living of the poorest of the poor. Pakistanis should help other Pakistanis without the regard of their religion. @Iqbal Even Sajjad Jahir was allowed to return to India. He was a communist (Father in law of actor Raj Babbar) and supported and worked for partition and two nation theory. I feel grieved when I hear about such things. We had to prove ourselves a better state than India but we made it worse for all the common people and particularly minorities after departure of Quaid Azam. May God bless Pakistanis with sense to learn from history. Dalits are much better in india..
A sad story of Pakistan. Bigotry and prejudice have destroyed Pakistan. Your words in memory of this giant lover of Pakistan appreciated. His love was negatively judged by a person inferior to him in government status. How many times this story will be repeated in Pakistan. "Now this being in brief the overall picture of Pakistan so far as the Hindus are concerned, I shall not be unjustified in stating that Hindus of Pakistan have to all intents and purposes been rendered "Stateless" in their own houses." What is true then is true now. I found the working of link for that letter. It is an eye opener and I recommend everyone to read it. My heart sinks at such injustice and discrimination against sons of soil and those who were loyal to the cause of Pakistan. A clear let down, by our bureaucrats, who to this day arrogate the rights of common man, for whom this country was founded. Lets work for recognition, uplift and growth in life of the common man of this country..... or we will we leave our work and let other dedicated people like late Dr Ruth do our work?? Nobody has ever worked for Pakistan, all our politicians have been out for themselves. Truth is coming out at last from some bold people and publications. Awesome article. My respects to the author for bringing out some true facts that even Indians were not aware of. Kudos to dawn for fearlessly publishing such an awesome article. @Zak -- Could you please let us see it? Thank you Akhtar Balouch sahib for a very thoughtful essay. We are and we were the biggest hatemongers in the history of nations. Chaudhary Muhammad Ali is considered to be the Godfather of the newly created state of Pakistan, not knowing that he was still an imperialist in his mind and always looked down on people and politicians. It is my understanding that he also had the blessings of Aziz Ahmed (then Chief Secretary of East Bengal and equally arrogant and disrespectful of minorities and Bengalis). God we had too many of them and now we have too many of them. @ukumar Agree...The Constitution protects the minorities. Minorities have quotas in education and jobs. What more you need? Everyone needs to work hard, no other option. Very sad. I wish the Quaid-e-Azam would have lived 10 yrs longer. Then Pakistan would have totally been different from its present state of affairs. We must always seek his great vision to become a reality much needed in today's world. the same bureaucracy has matured into the establishment today, nothing has changed. I wonder if that sounds familiar to Hamid Ansaris of India. What a shame, on either side. @Raja We dont need seculars or liberals or conservative. We only need people who can speak and listen truth. Caste system is part of subcontinent not Hindu religious hierarchy. @Azhar jamil Any noteworthy example Sir?